The 88 meter long cargo vessel Delamar became disabled near the entrance to the locks of the Kiel Canal at Brunsbüttel, Germany. 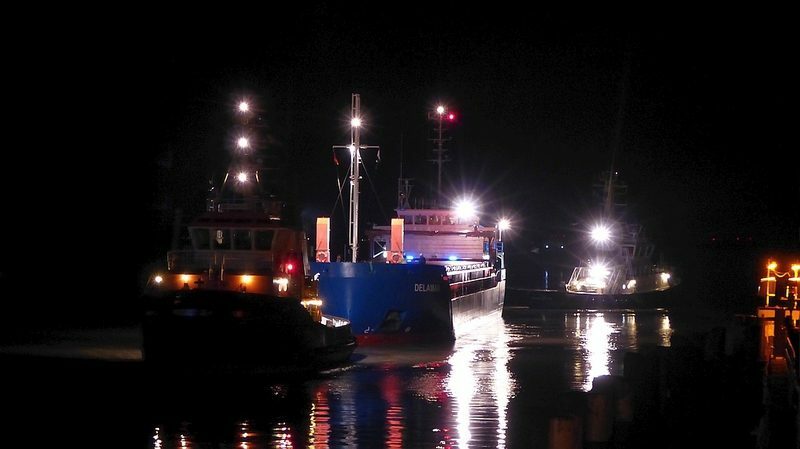 The cargo vessel was headed to Södertalke from Plymouth when it suffered engine failure near the locks. The crew quickly responded and avoided collision with the locks by conducting an emergency anchoring. Authorities dispatched two tugs and towed the Delamar to Brunsbüttel. No reports of injuries, damage or pollution released.